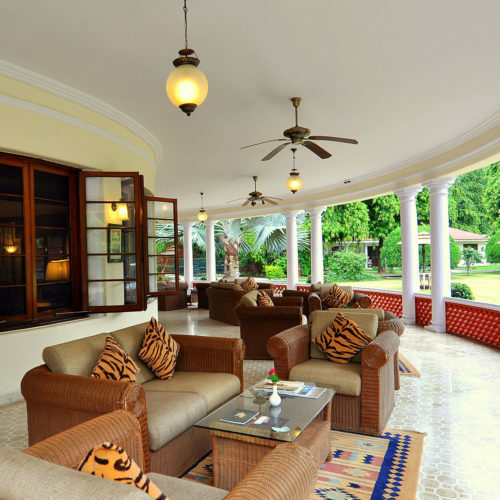 Vivanta by Taj - Sawai Madhopur lies over 12 acres of forest greenery. 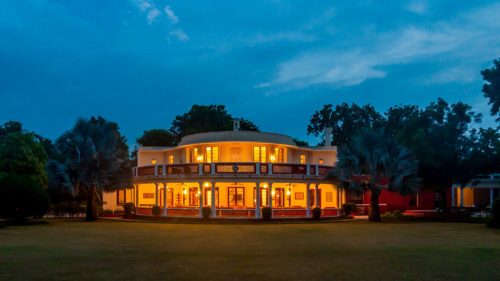 Built in 1930, the main building was a former hunting lodge of the Maharaja of Rajasthan. Located just 20 minutes from the Ranthambore National Park and only 3kms away from the Sawai Madhopur railway station, this is a perfect location to enjoy the park. Rustic style and well-appointed rooms preserve the charm of the by gone era, whilst offering all the modern conveniences. 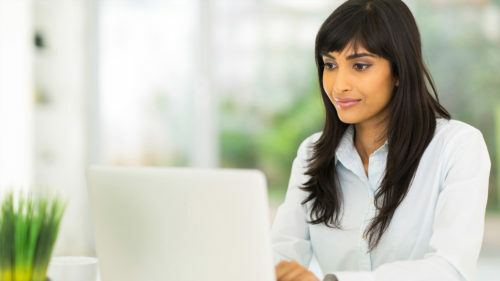 The hotel offers a lively dinning room that serves Indian as well as Continental delicacies. 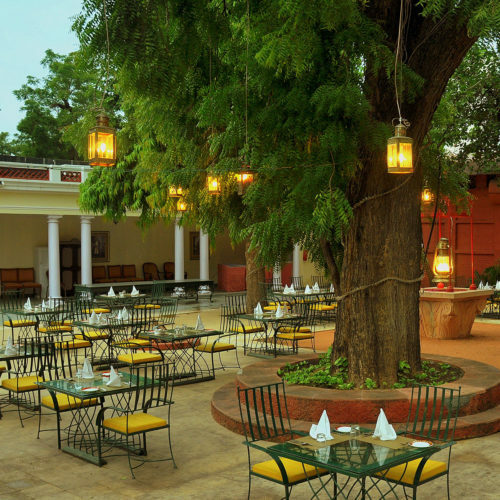 One can also enjoy al fresco dinning at the Neem terrace, where you can enjoy live folk dance, a puppet show or a presentation by a naturalist. Facilities feature a beautiful outdoor pool, pampering spa and a modern gym. This hotel is a nice balance of adventure and luxury within the dense cover of the Ranthambore forest.